andrewwilber.com: Once In a Long Time, Eh? Once In a Long Time, Eh? 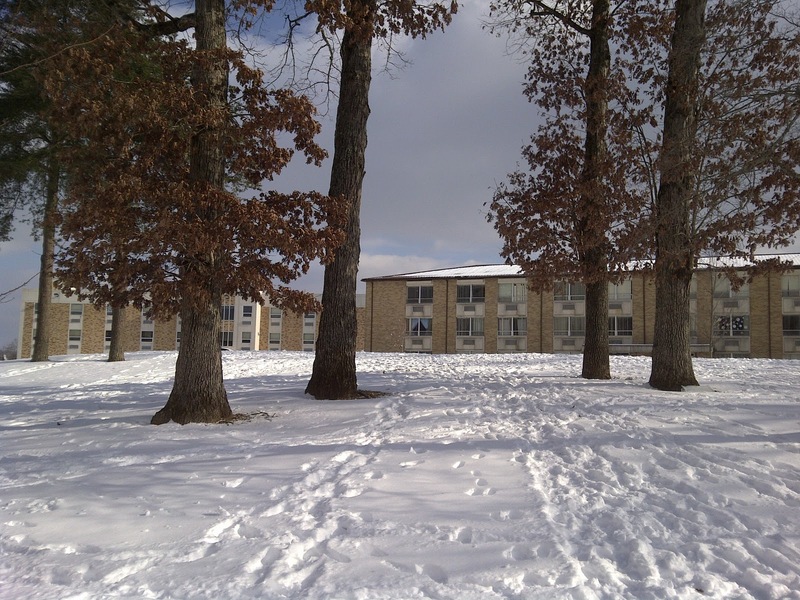 Shortly after transferring to Bryan this time last year, Dayton Tennessee had a major snow storm. This, the locals assured me, was extremely unusual... something once in a decade. Well, how about now? Being rather ill yesterday, I was unable to make the journey to Tennessee by myself, so my Dad drove me down. As we made it further and further south, we observed something relatively unusual. 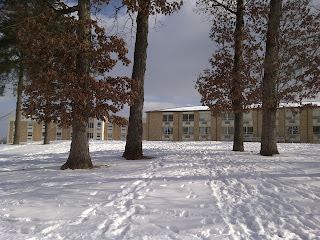 Rather than getting warmer and there being less snow, the temperature stayed remarkably stable, and the amount of snow-cover increased until we finally got to Bryan College here and found a full five inches on the ground. I like the snow really, but the thing is, whenever I drive 13 hours due south, I tend to expect it to get at least a little warmer. So it's a bit disappointing when I go right from one winter wonderland to another. Speaking of disappointment, I had some this afternoon when I found out one of my friends I was planning on going to Latvia with over spring break will no longer be able to come. Apparently a lot of people were unable to raise the necessary 50% of funds by the deadline, and because of a new set of policies regarding payment, were simply told that they would be unable to go. So I'm not really looking forward to finding out how many more people in the group, which was already small, may no longer be going. Other than that, my first day back on campus went pretty well. I really only had one class. Normally I'd have two, but because of the snow, one of my profs canceled. The one that I did have was contemporary math, that legitimate higher math course that I'm finally taking after literally years of remedial courses due in combination to my abysmal scores in high school and academic red tape in college. So even though I'm terrible at math, I'm almost looking forward to this, because after I'm done it will finally be over. I think my strep is starting to react to the medication now, which is good. I still feel a little tireder than usual, but the general bad feeling of being sick is mostly gone, so that's good. It is nice (though strange) to hear you are looking forward to a math course. Hope it is great and glad that you feel you are conquering the strep-take care! Hey, if I go to SBI could I say you referred me to it and thus you could get paid? You most certainly could. In fact, if you go, I'll give you a portion of the money. You know, you could actually probably transfer your credits into liberty if you wanted to. Awesome! Yeah, actually one of the reasons in the back of my mind when choosing liberty was that it would accept SBI credits, just in case i ever wanted to go.